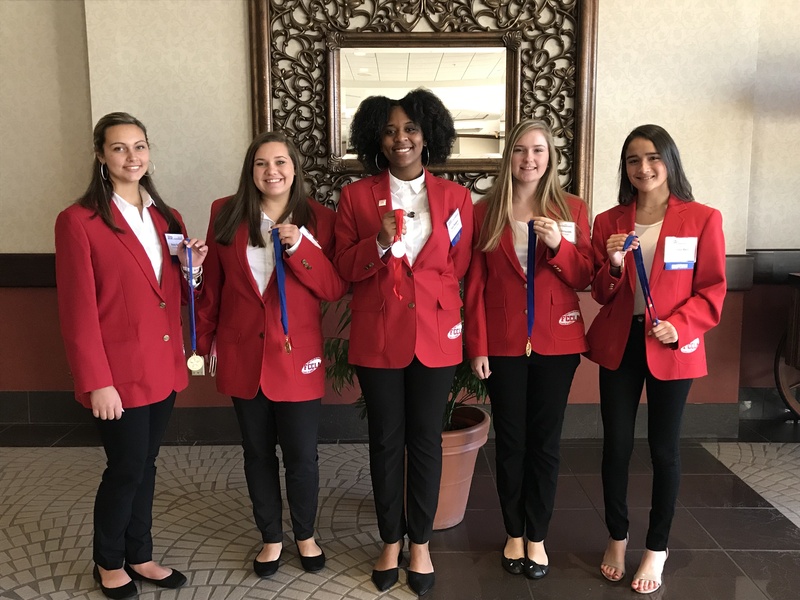 The West Bladen FCCLA chapter attended the North Carolina FCCLA conference in Greensboro April 1st through April 3rd. 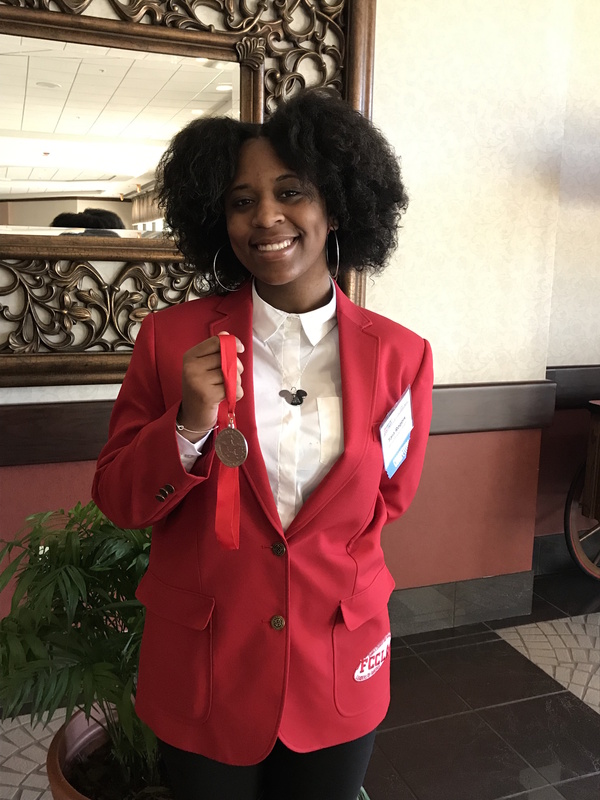 Tara Rogers received a silver medal in the Career Investigation event. Tara presented on an E-commerce position. 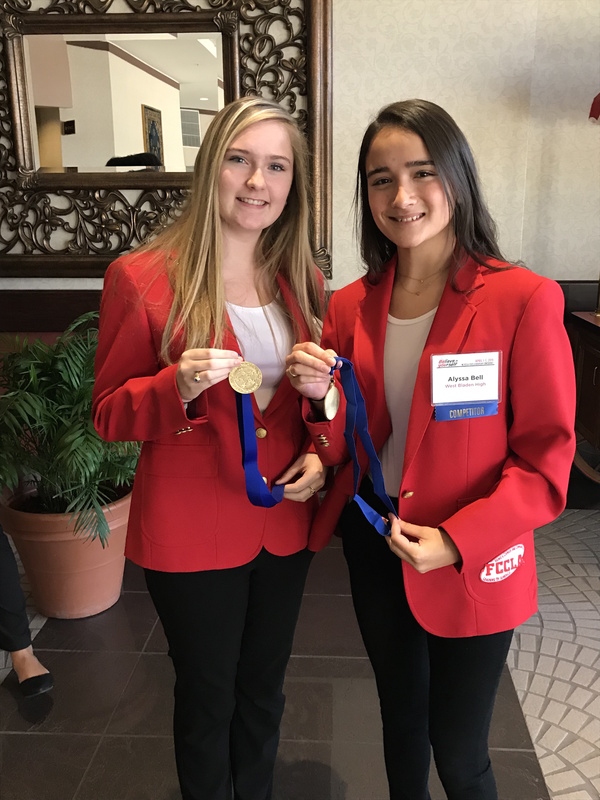 Madison Bullard and Kacy Gunter received a gold medal in the Focus on Children event. Madison and Kacy created a storybook and presented it to preschool children emphasizing the importance of refraining from bullying. 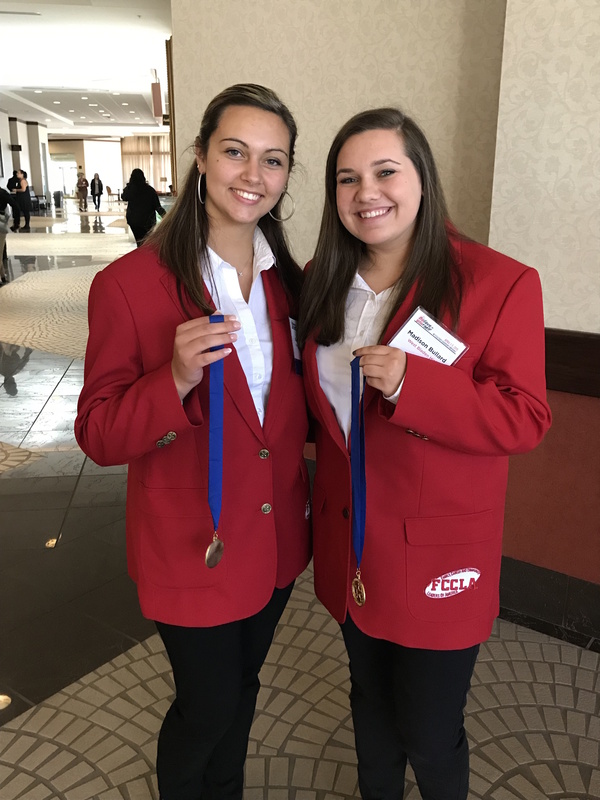 Alyssa Bell and Autumn Brisson received a gold medal in Life Event planning category. Alyssa and Autumn planned a graduation party that will be relevant as they will graduate next year. Tara, Madison, Kacy, Alyssa, and Autumn were also recognized for completing one of the National Programs- Power of One. They were awarded a certificate and Power of One pin. Also, during the Opening ceremony, Autumn Brisson represented our West Bladen club during the Chapter Flag parade.